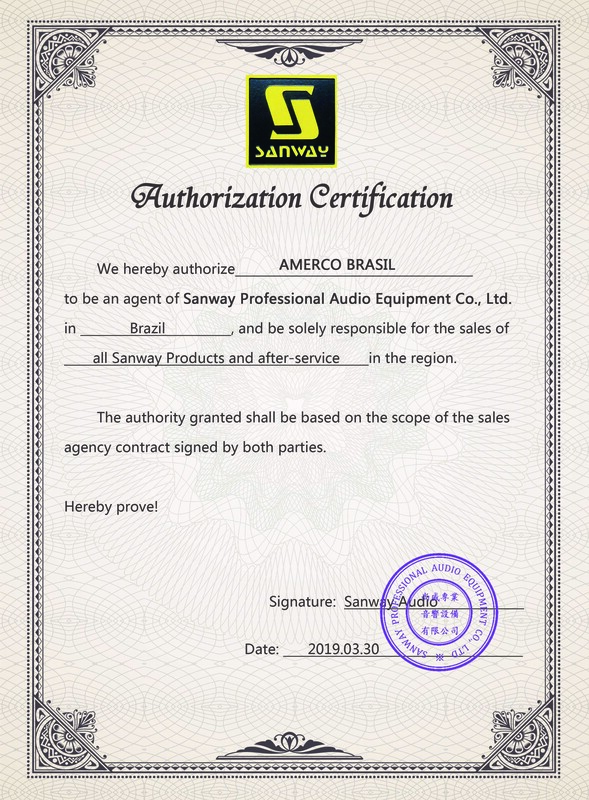 Sanway Audio Distributor in Brazil - Sanway Professional Audio Equipment Co., Ltd.
We have distributor in Brazil now. If you want to make purchase in Brazil, please contact Mr. RODRIGO C. BORDIGNON. He will also be in charge of all the after-service for all our Sanway products there.